We are so happy with the performance of the kitchen moth traps. I keep one in that cupboard, one in a lidded plastic box where I keep my dry pasta, and in the summer, I also keep one on a kitchen counter. 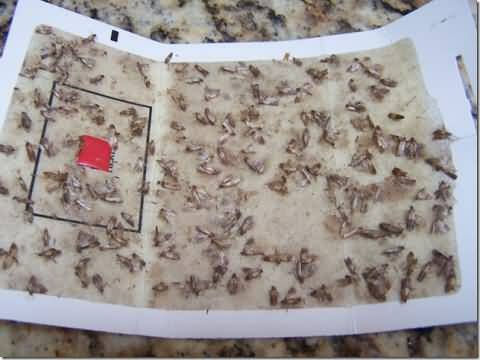 I've included pictures of kitchen moth traps from Cleaner Today showing the moths that were captured in my kitchen pantry. 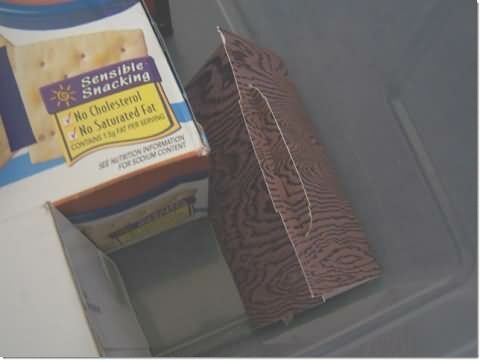 The trap was placed behind boxes of breakfast cereal and had been in place about two months. This is my pasta/cracker box and the kitchen moth trap I keep in there. Thank you for providing such a useful and effective product.